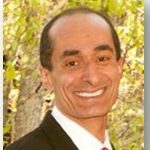 Hesham ElHamahmy is HAE Innovations, President & CEO. Hesham is an innovative leader with a broad base of expertise in sales, marketing, and operations with a great track record of driving growth at start-ups, turnarounds, and growing high tech companies. He brings 20+ years of wireless industry experience to address the challenges facing the IoT industry today. HAE Innovations provides world-class services and solutions for measuring performance of connected devices at all stages of development from chip design to service deployment.